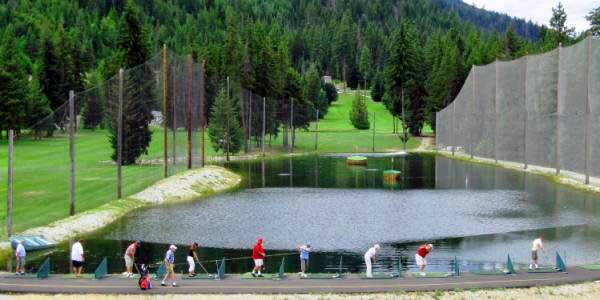 Our unique aqua driving range is right next to the first tee. Our floating golf balls look, feel and most importantly, hit like a true golf ball. Come on out for some practice before your big round.